The latest new vehicle sales data from the National Association of Automobile Manufacturers of South Africa (Naamsa) has revealed a decline of 2.5% year-on-year in the month of August. At the same time, the performance of the industry has remained relatively flat from a year-to-date perspective at -0.6% over the first eight months of 2018. Total sales for August topped at 47 964 units, of which 66% went to the passenger vehicle segment - down 2.2% year-on-year and is flat year-to-date. 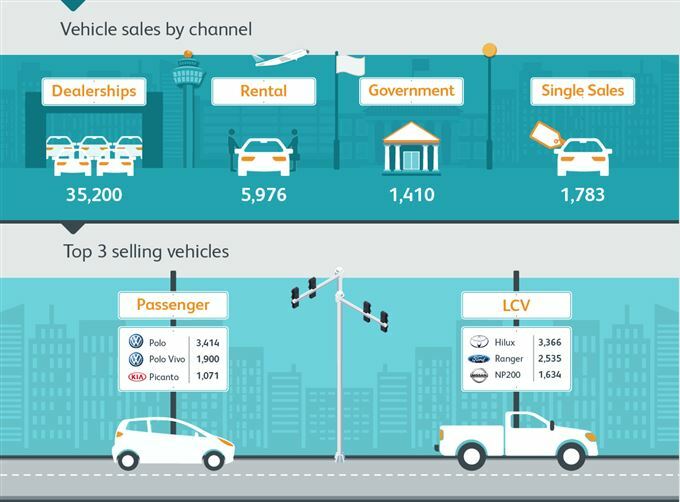 Light commercials contributed 29% of total sales, but down 5.8% year-on-year and 2.5% year-to-date. The commercial segment comprising buses, medium, heavy and extra-heavy vehicles made up the final 5%, and is up 16% year-on-year and 2.1% year-to-date.